Vinnie Johnson: "A lot of time when these opportunities come about, it's a troubled situation. That's not the case here." DETROIT -- U.S. auto supplier Piston Group closed today on the $175 million acquisition of Takata Corp. subsidiary Irvin Automotive Inc. 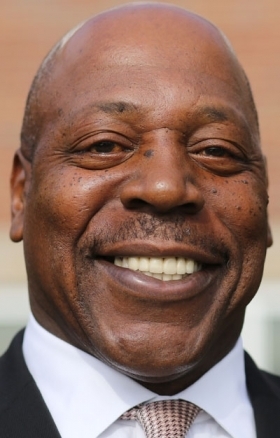 The deal, first reported by Crain's Detroit Business earlier this week, propels the suburban Detroit supplier owned by former Detroit Pistons basketball star Vinnie Johnson into a full-fledged manufacturer. The acquisition adds Irvin's interiors manufacturing operations to Piston's assembly and sequencing business. Irvin will operate independently under Piston Group, Chairman Vinnie Johnson told Crain's, an affiliate of Automotive News. "I had been talking to our customers, particularly the Detroit 3, about getting into manufacturing for some time," Johnson said. "I was approached by Takata and worked with the (automakers) to really land this huge acquisition and huge opportunity." Joe Finn, president of Irvin, and his management team will continue to run the company under Piston. Johnson said he is working to put together an independent board to assist Finn with operations. "A lot of time when these opportunities come about, it's a troubled situation," Johnson said. "That's not the case here. Joe and his team have done a fantastic job and we're super impressed with their performance." Irvin, which is a supplier of seat-trim and headrest covers, and sun visors, armrests and console lids, employs about 7,100 people and takes in about $500 million of annual revenue with factories running at capacity, Bloomberg reported. The transaction, along with new programs, will nearly double Piston's revenue this year, which is projected at $1.8 billion. Piston Group had revenue of $930.8 million in 2015 and has 563 employees. Piston has been growing with contracts from Ford Motor Co. and others. In 2012, Johnson's other entity, V. Johnson Enterprises LLC, announced the formation of a new joint venture with Valeo SA called Detroit Thermal Systems LLC. Expansion with Ford, which aided in the transaction, will continue next year with the additional of lithium-ion battery pack assembly. Piston will assemble packs from LG Chem and Panasonic for use in Ford's plug-in-electric vehicle lineup before extending to its battery-electric vehicles, Johnson said. The supplier also plans to open two new plants next year, supporting FCA US LLC and Toyota Motor Corp., Johnson said. It is expected to announce the locations of those plants in the coming months. "This is a very exciting time for Piston," Johnson said. "Our expansion and the acquisition of Irvin gives us an opportunity to become a real global player." By 2018, Johnson said Piston is expecting to generate revenue of $2.8 billion, nearly five times the size of the minority-owned business in 2012 at $570 million. Finn said Takata began exploring the sale of Irvin late last year. The embattled Japanese supplier, whose North American subsidiary TK Holdings Inc. is located in Auburn Hills, Mich., is in search of a lifeline in the wake of the largest recall in automotive history. As many as 100 million vehicles worldwide may ultimately be recalled due to faulty Takata airbag inflators linked globally to at least 14 deaths and more than 100 injuries. The airbags reportedly can explode, shooting shrapnel into the cockpit, injuring passengers. Takata hired investment bank Lazard Ltd. to lead a financial restructuring in an effort to reduce the impact of the recalls. Takata estimated the recalls would cost the company more than $24 billion, Bloomberg reported in March. Executives from Takata's customers, including General Motors and Ford Motor Co., are in Japan this week to review offers from several bidders for the company, Crain's reported last week. Suitors for the Tokyo-based supplier of seatbelts and airbags include U.S. competitor Key Safety Systems Inc.; private equity firm KKR & Co.; Daicel, a Japanese manufacturer of airbag inflators that's jointly bidding with private equity firm Bain Capital; Urbana, Ill.-based supplier Flex 'N Gate and Swedish airbag maker Autoliv Inc., according to Bloomberg reports and a source familiar with the matter.